However, the truth is far from real. While it is true that Mutual Funds are not completely foolproof, it doesn’t mean it is a means of loss. 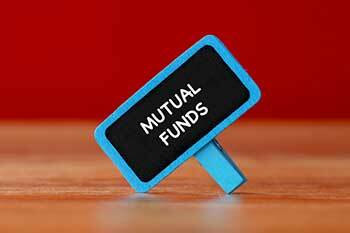 There are specific reasons why people lose money in Mutual Funds. Mutual Funds are still a taboo financial product for most Indians. The air of delayed returns coupled with fear of losing money makes it a scary and misunderstood mode of investing. However, the truth is far from real. While it is true that Mutual Funds are not completely foolproof, it doesn’t mean it is a means of loss. There are specific reasons why people lose money in Mutual Funds. One of the most important investment advice that investment experts give is to dedicate time to it. For instance, to earn a decent return from an equity mutual fund you need to stay invested for at least 3 years or more. Having a proper time frame also helps you reach your goal in an organized and planned manner. What to do? You need to have an investment strategy in place that defines the time period clearly. Avoid early exit because of temporary market volatility conditions. Ensure you stay invested for your complete time frame for better returns. A lot of people get into mutual funds without having the right knowledge about it. This could lead you to invest in the assets that might not give you your desired results. Also, untimely entry or exit from a fund will also impact your portfolio drastically leading to losses. What to do? You can read about mutual fund investing, attend investor education programmes and even ask your fund manager to know more. Trading and investing are like two different lanes of the same highway. And you can’t drive on both the lanes simultaneously. What people fail to realize is that mutual funds require you to ‘invest’ rather than ‘trade’. Trading is done to achieve short-term gains from the stock market while investing is for meeting the long-term goals. It’s when you mix the two, you tend to lose money. What to do? Have a goal in mind and invest to achieve that. The goal will motivate you to stay invested and meet the target. Fund Managers are the ones who deal with your money on your behalf. They are appointed by your fund houses as experienced and reliable people to make investment decisions for you. While most fund managers are known to do their job well, there are some who might tend to make some hasty decisions leading to a loss. What to do? Enquire about your fund manager. Do a background check. Though no two funds are alike, the managers’ past performance with the fund will help you gauge their capability. Knowing that your fund manager is able to steer clear of risks and meet the financial goals is certainly a plus for every investor. There are people who invest with a specific return potential in mind. While having an expectation is good, meeting that is not always possible given the fluctuating market conditions. There would be times where you would get returns as high as 22% and times when you get it maybe 12% in a year. Exiting a fund just because it gave you low returns will only lead to more loss and regret later. What to do? Investing involves risk and the sooner you accept the fact, the easier it would be for you. Always expect returns only as high as you are willing to risk. Unrealistic profits require unrealistic investment and risk appetite. So figure out how much risk you can afford to minimize your loss in mutual funds.